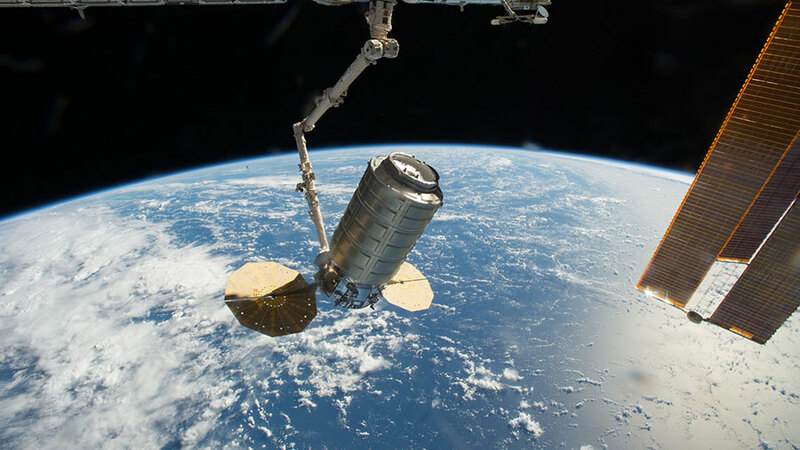 Orbital ATK’s Cygnus cargo craft was captured Oct. 23, 2016, using the Canadarm2 robotic arm on the International Space Station. Orbital ATK has completed a significant mission milestone for NASA’s next International Space Station cargo mission. The Pressurized Cargo Module (PCM) of the Cygnus spacecraft has arrived at NASA’s Kennedy Space Center for processing and assembly before launch. The OA-7 mission is targeted to launch on Thursday, March 16 from Space Launch Complex 41 at Cape Canaveral Air Force Station in Florida. Orbital ATK will launch Cygnus atop a United Launch Alliance (ULA) Atlas V rocket for delivery of essential crew supplies, equipment and scientific experiments to astronauts aboard the International Space Station. The 30 minute launch window opens at 12:29am EDT. A new set of Expedition 50 crew members is in Kazakhstan just two weeks away from a launch to the International Space Station. The three orbiting station inhabitants are in the second week of their four-month stay in space. Thomas Pesquet, Peggy Whitson and Oleg Novitskiy have tried on their spacesuits and checked out the Soyuz MS-03 spacecraft they will blast off in Nov. 17. After launch, the trio will take a two-day trip to their new home in space where they will live until May. Today, the new crew is participating in flag-raising and tree-planting ceremonies at the Baikonur Cosmodrome launch site. The orbiting crew of Commander Shane Kimbrough and Flight Engineers Sergey Ryzhikov and Andrey Borisenko are conducting critical space science while maintaining station systems. 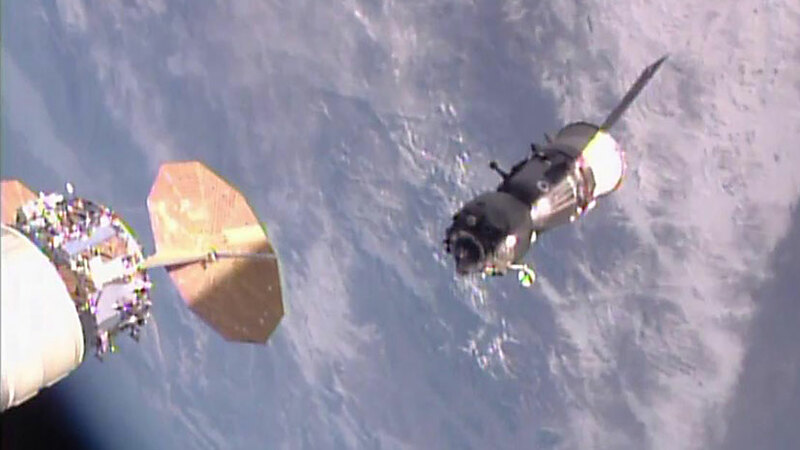 Kimbrough continued transferring cargo from the Cygnus resupply ship that is due to depart in mid-November. The station commander also collected blood and urine samples for stowage in a science freezer then worked on research and plumbing gear. Ryzhikov researched how humans experience pain in space and unloaded cargo from the new Soyuz MS-02 spacecraft. Borisenko, who is on his second station mission, checked out Russian life support systems and completed a questionnaire documenting the interactions of station crews and mission controllers on the ground. NASA astronaut Kate Rubins of NASA, Anatoly Ivanishin of the Russian Federal Space Agency (Roscosmos) and Takuya Onishi of the Japan Aerospace Exploration Agency undocked from the International Space Station at 8:35 p.m. EDT to begin their journey home. Ivanishin, the Soyuz commander, is at the controls of the MS-01 spacecraft. The trio’s spacecraft completed the first flight to station for the upgraded Soyuz MS-01 when it launched in July. The crew is scheduled to land at 11:59 p.m. southeast of Dzhezkazgan, Kazakhstan. As the Soyuz MS-01 undocked, Expedition 50 officially began on the station under the command of NASA astronaut Shane Kimbrough. 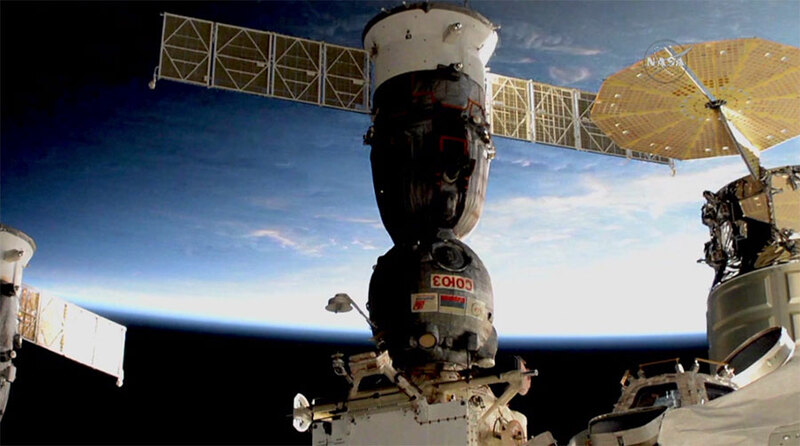 He and Flight Engineers Sergey Ryzhikov and Andrey Borisenko of Roscosmos, will operate the station for three weeks until the arrival of three new crew members next month. NASA TV will air live coverage of the Soyuz MS-01 deorbit burn and landing beginning at 10:45 p.m. Watch live online on NASA’s website. NASA astronaut Kate Rubins and her crewmates, Anatoly Ivanishin of the Russian Federal Space Agency (Roscosmos) and Takuya Onishi of the Japan Aerospace Exploration Agency are scheduled to return to Earth on Saturday, Oct. 29 at 11:59 p.m. EDT (9:59 a.m. Oct. 30, Kazakhstan time). NASA Television will air coverage of the departure and landing activities, beginning with a change of command ceremony at 3:30 p.m. on Friday, Oct. 28. Expedition 49 Commander Ivanishin will hand over station command to NASA astronaut Shane Kimbrough. Watch live online on NASA’s website. 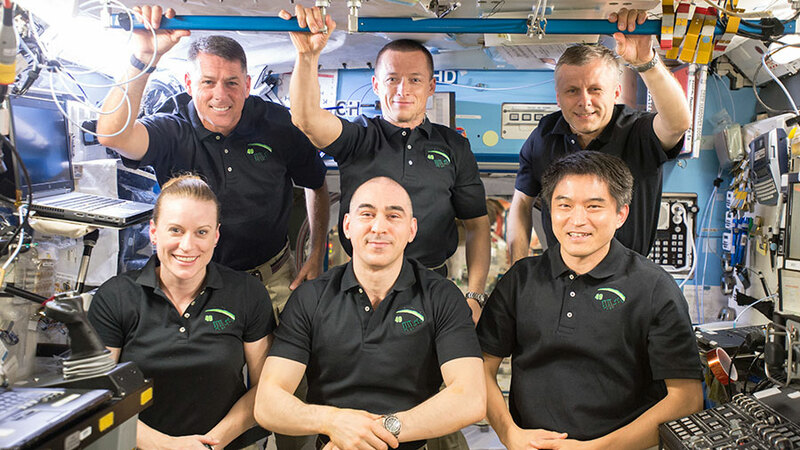 The six-member Expedition 49 crew poses for a portrait in the Destiny lab module. (Front row, from left) Kate Rubins, Anatoly Ivanishin and Takuya Onishi. (Back row) Shane Kimbrough, Sergey Ryzhikov and Andrey Borisenko. One spacecraft is being packed and readied for the return of three humans to Earth while a cargo craft is being unloaded and settling in for a one-month stay. 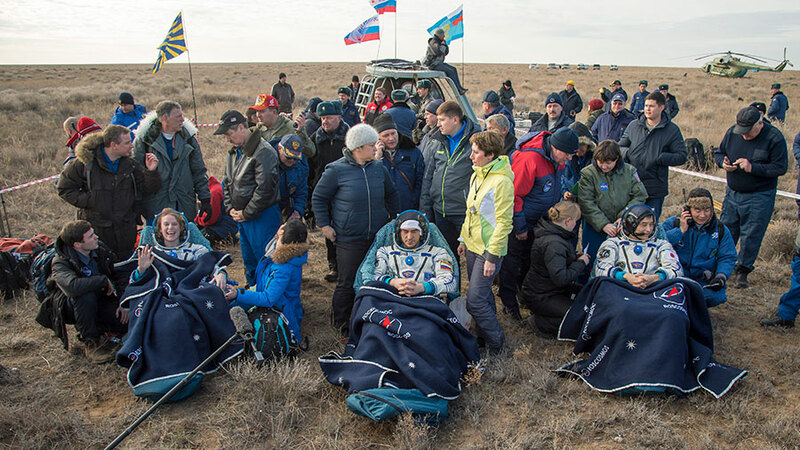 The Expedition 49 trio of Commander Anatoly Ivanishin and Flight Engineers Kate Rubins and Takuya Onishi are packing gear and preparing for their return to Earth Saturday night. 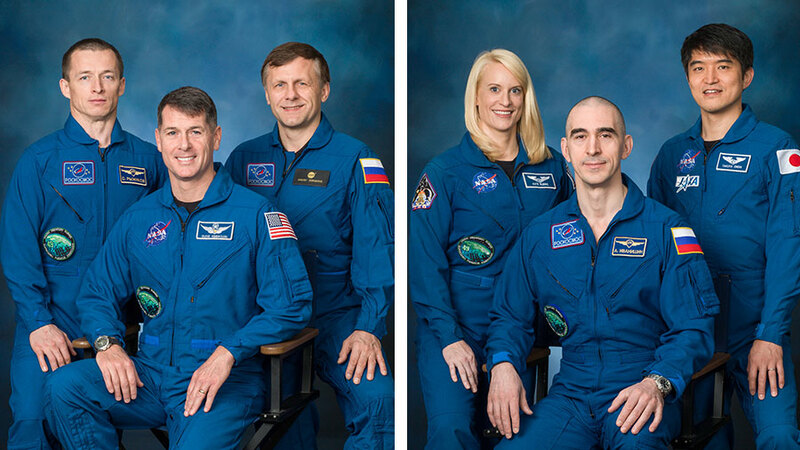 The veteran cosmonaut and two first-time astronauts will wrap up their mission after 115 days in space. They will parachute to a landing in Kazakhstan inside the Soyuz MS-01 spacecraft. The ride back to Earth takes about 3-1/2 hours after undocking from the International Space Station. The Orbital ATK Cygnus is the latest cargo ship to arrive at the International Space Station. It was captured and installed to the Harmony module on Sunday Oct. 23 after a six-day flight that began in Virginia. The hatches were opened the day it arrived and the crew began unloading over 5,100 pounds of crew supplies and science gear. Cygnus is scheduled to depart in mid-November and release a set of nanosatellites before scientists remotely set fire inside the spacecraft for the Saffire-II experiment. 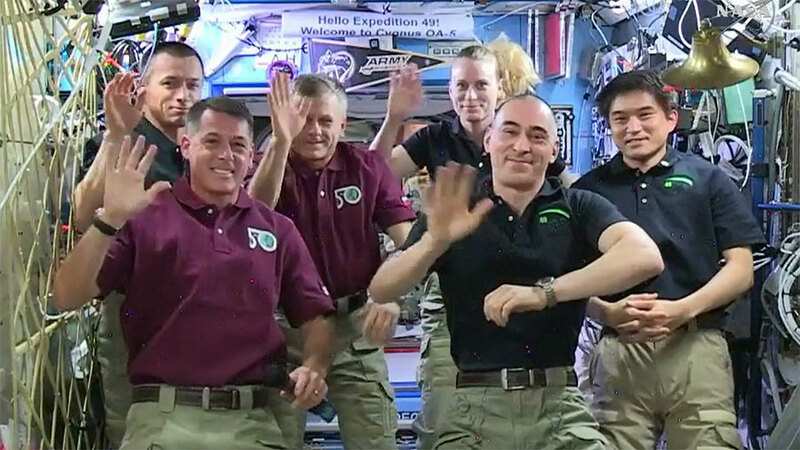 The departing Expedition 48-49 crew members (from left) Kate Rubins, Anatoly Ivanishin and Takuya Onishi. Three Expedition 49 crew members are winding down their stay in space this week, as a new trio gets used to its new home on orbit. While all six International Space Station residents are in the midst of a crew transition, they are still continuing advanced space research and orbital lab maintenance. Commander Anatoly Ivanishin spent the morning getting the Soyuz MS-01 spacecraft ready for its Saturday night departure. He and Flight Engineers Kate Rubins and Takuya Onishi will board the Soyuz, undock from the Rassvet module and land in Kazakhstan ending a four-month mission. 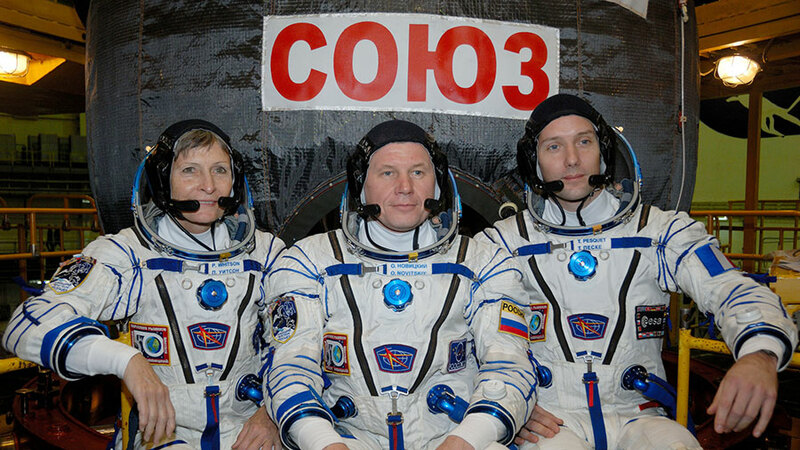 The trio spent Wednesday afternoon practicing their Soyuz descent procedures and packing gear. Rubins also explored how living in space can affect brain functions such as perception, memory and motor control for the NeuroMapping study. Onishi spent some time on an education demonstration video for the Japan Aerospace Exploration Agency. New station resident and NASA astronaut Shane Kimbrough is getting ready for the crew handover as he prepares to assume station control. He will become station commander during a change of command ceremony Friday afternoon. Expedition 50 will officially begin when the Soyuz MS-01 undocks Saturday night. Kimbrough is staying in space until February with fellow crewmates Sergey Ryzhikov and Andrey Borisenko.